President of the Permanent Secretariat of the World Summit of Nobel Peace Laureates Ekaterina Zagladina and Senior Advisor of the PermSec, Jonathan Granoff took part in the Vatican TV live show “TV2000” commenting Pope Francis’ speech on Friday on nuclear disarmament. The team of the Permanent Secretariat of the World Summit of Nobel Peace took part in the international conference on a nuclear-weapons-free world organized by the Holy See on 10-11 November 2017 and titled “Perspectives for a world free from nuclear weapons and for integral disarmament”. Among the speakers of the event are Nobel Peace Laureates Mohamed El Baradei, Jody Williams, Muhammad Yunus, Adolfo Perez Esquivel, and Beatrice Fihn, Executive Director of the 2017 Nobel Peace Laureate – International Campaign to Abolish Nuclear Weapon, as well as other representatives of the prize awarded organizations. The meeting in the Vatican was the result of efforts made by Pope Francis against arms, particularly nuclear weapons.  10 years ago, at the 7th World Summit of Nobel Peace Laureates in Rome the participants issued along with the Final Declaration the special Call to the world community to abolish the nuclear weapons. The Nobel Peace Laureates and Organizations expressed their disagreement with the proposed changes to their strategic doctrines of a number of countries, including France, USA, and Russia, which provide for the possible use of nuclear weapons, and called on these countries to return to the path leading to a non-nuclear world.